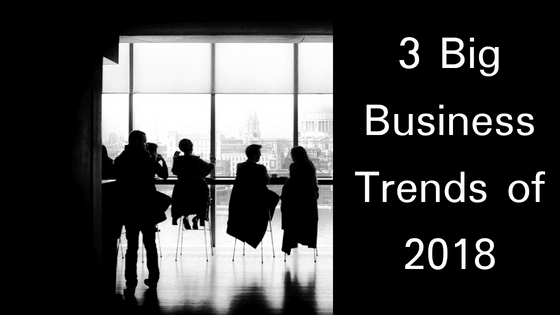 Every year, new trends begin to take hold in the business world. Old companies adopt newer technologies, while new companies break the mold of business entirely. Business owners are expected to follow these trends, as they typically make for a better work experience. If you are starting a company this year, these are some of the trends you may want to add to your workplace. For decades, employers have been unable to allow remote work positions. This all changed with advancements in technology and a stronger, more reliable Internet. More positions are going remote, and even teams are splitting apart as they work together. To some seasoned entrepreneurs, working remotely may seem unproductive. However, newer entrepreneurs understand that anything done in the office can almost certainly be done at home. This trend allows for a change of scenery that can improve employees’ creativity, while also allowing them to relax while they get their work done. How many people live a sedentary lifestyle, starting with their work? Obesity is a growing problem in the US, and employers have taken some of the blame for this negative trend. To rectify this situation, entrepreneurs have built companies that value their employees’ health. This includes providing standing desks, discount agreements with local gyms, and ordering healthy snacks for the office. Although some older companies have taken initiative to fight unhealthy lifestyles, you can see this more often in newer organizations. Every good manager knows what their team members thrive at. For some, it could be client interaction. For others, they may never work late, because they are efficient at time management. Regardless of what skills each person possesses, there will be a growing effort toward social learning in 2018. This may include informal shadowing sessions, or it could be focused activities, lead by the expert. Continuing to teach your employees in this manner makes learning soft and hard skills more enjoyable, while also providing an opportunity for small leadership roles. 2018 may be a year of technology overload in the office, but many trends we’ll see have to do with providing a better work experience for employees. Remote work allows them to sleep in, healthy options get them active, and social learning provides interactive moments to break up a dull week. New entrepreneurs and old business owners alike should look to incorporate these trends as much as possible, in order to reap the benefits from their employees.